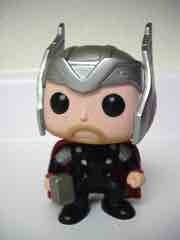 While I have yet to run out and buy any of the action figures, I had to get the Thor Pop! Vinyl Bobble Head. Why? Just look at it! 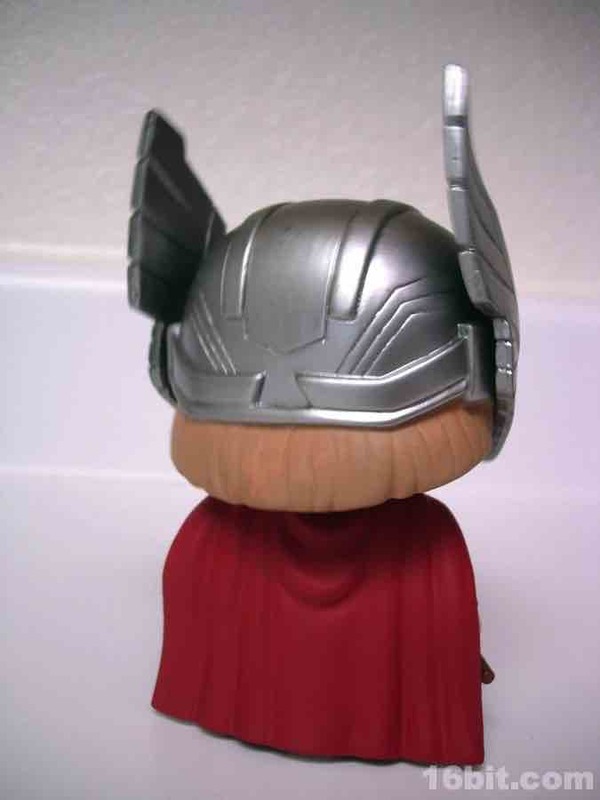 The 4-inch figure has a beard, a hammer, and a cape. There's no articulation to speak of, although you can rotate the head a bit as it sits on a spring. Funko's Pop! Vinyl line changes a little from license to license. Star Wars are bobble heads with display bases. 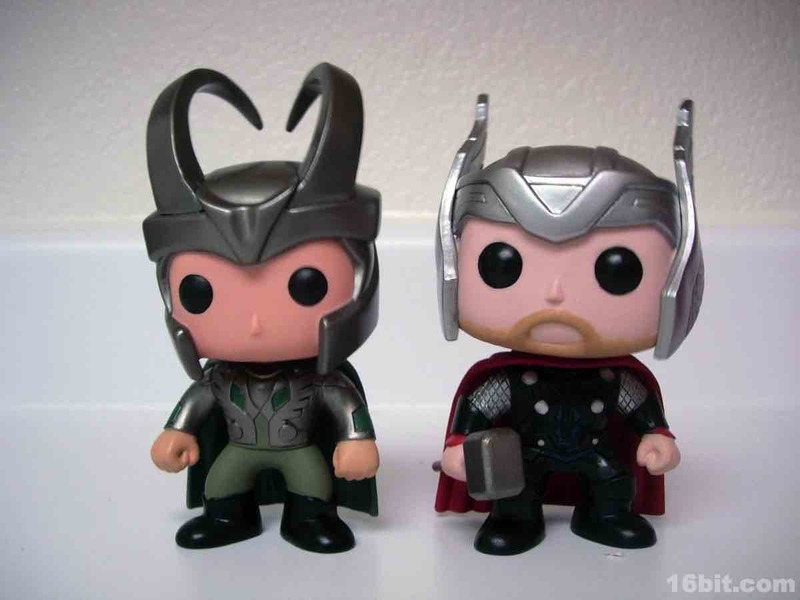 Marvel are bobble heads without display bases. 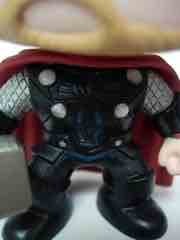 Everything else (so far) are just straight-up vinyl figures with articulated heads. 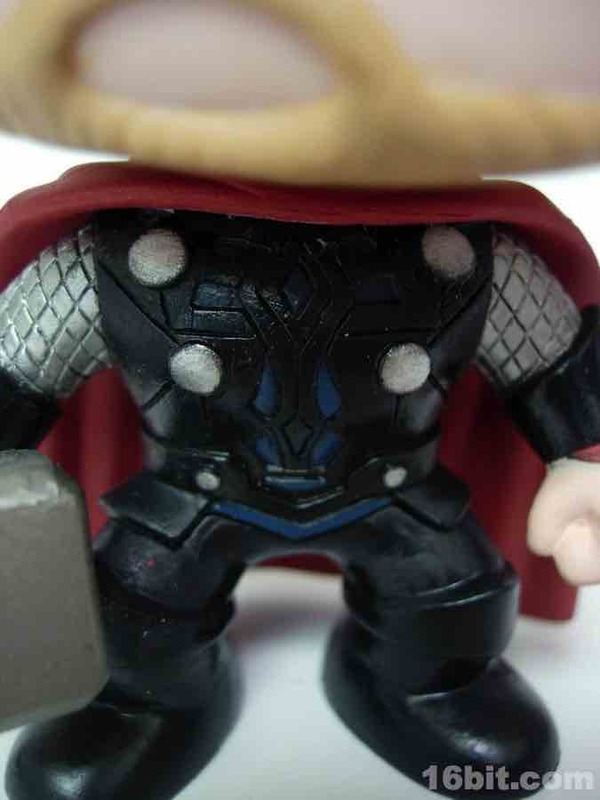 Thor has some impressive deco on his chest armor, and aside from that is essentially a Sanrio-inspired bearded collectible figure. This format is really cool, because you can't get the likeness "wrong" when what you're going for is an artistic vinyl interpretation of a popular character. 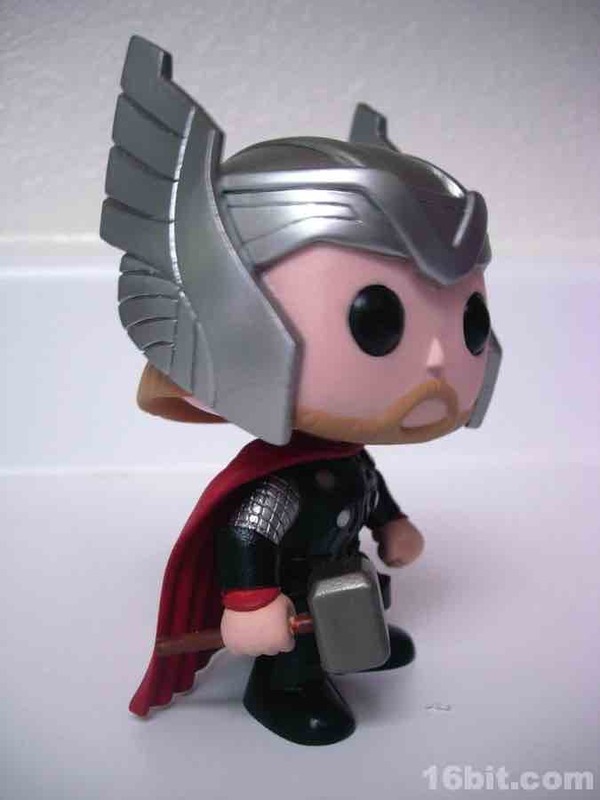 (Or in this case, an artistic vinyl interpretation of Thor.) While some articulation would be nice-- specifically in the arms, so he could raise his hammer or something. But aside from that? It's pretty great, and a nice debut for the Marvel line of these figures.